To celebrate my birthday I’ve decided to share a recipes for one of the snacks that I’ll be serving at my party. Whenever I’m throwing a party food I spent the most time preparing the food. 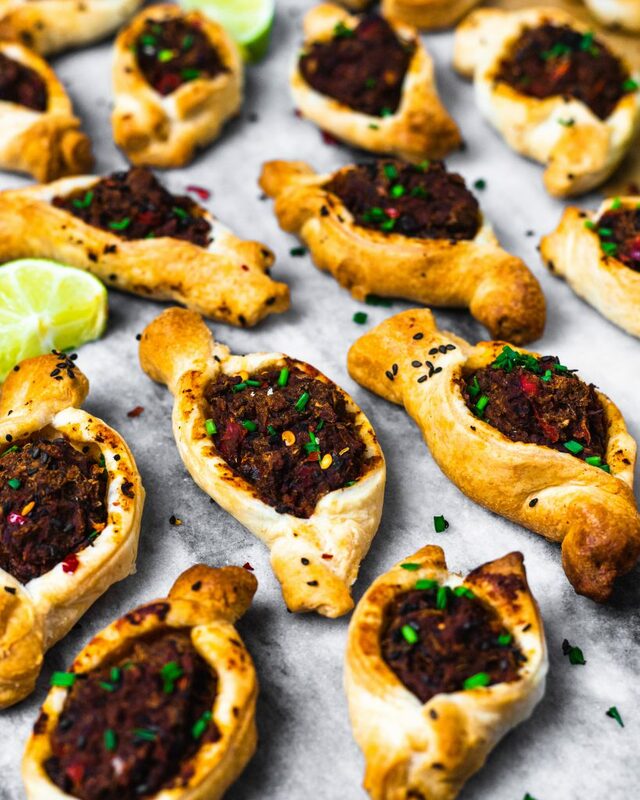 In my culture food is one of the most important aspects of a party and we always have certain dishes that always make an appearance on these special occasions. 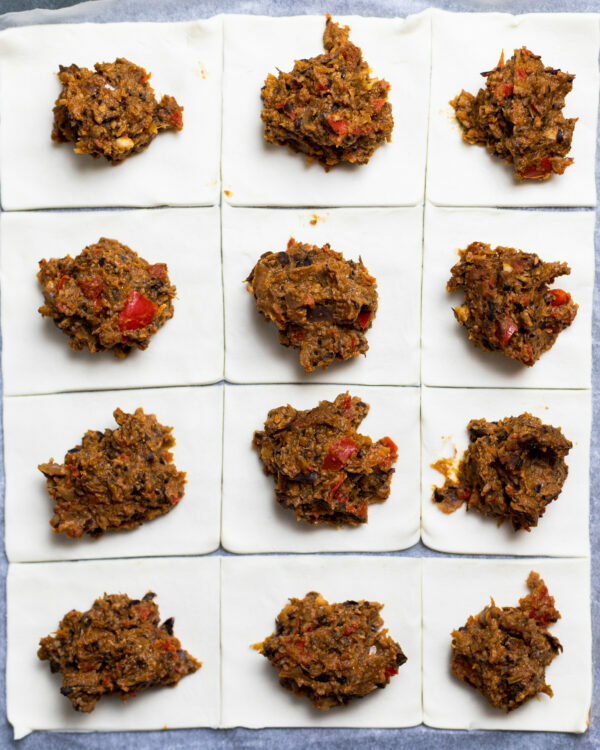 This snack can easily be prepared the day before. 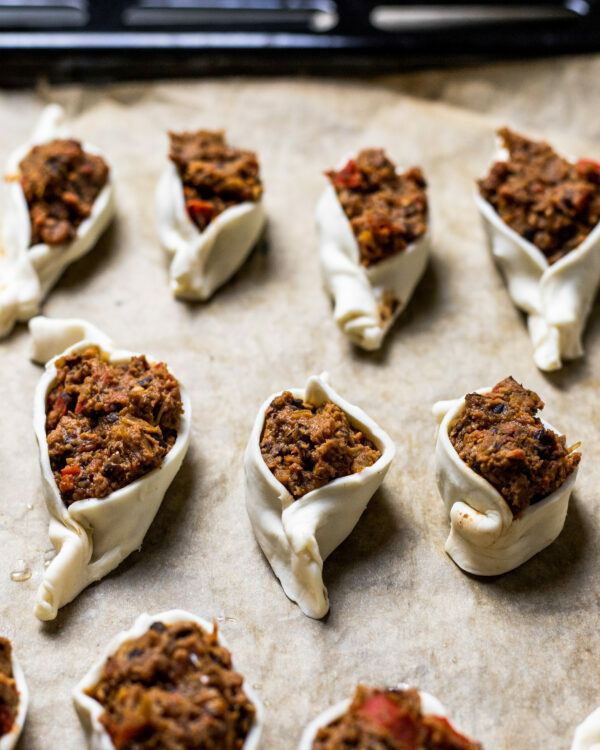 Ensuring that on the day itself you don’t have to spend extra time prepping the filling. Simply remove the puff pastry from the oven, fill them up and pop those babies in the oven. There is no more time to waste! Let’s get this party started. 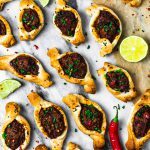 If you decide to make these savoury snacks be sure to tag me on Instagram as I’d love to see your creations. 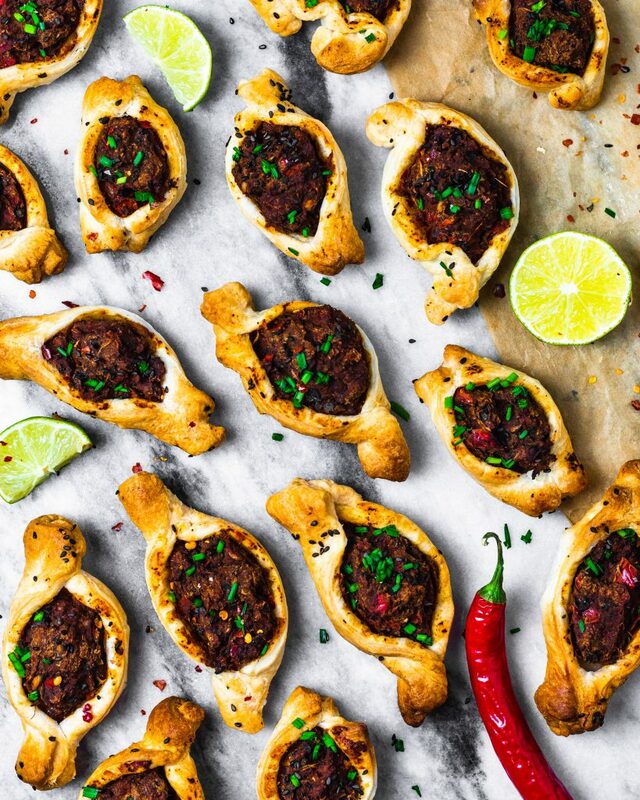 Filled with mushrooms, chickpeas and spices these Puff pastry boats pack a punch. Preheat your over to 175 Celcius or 350 Farenheit. Start by making the filling. 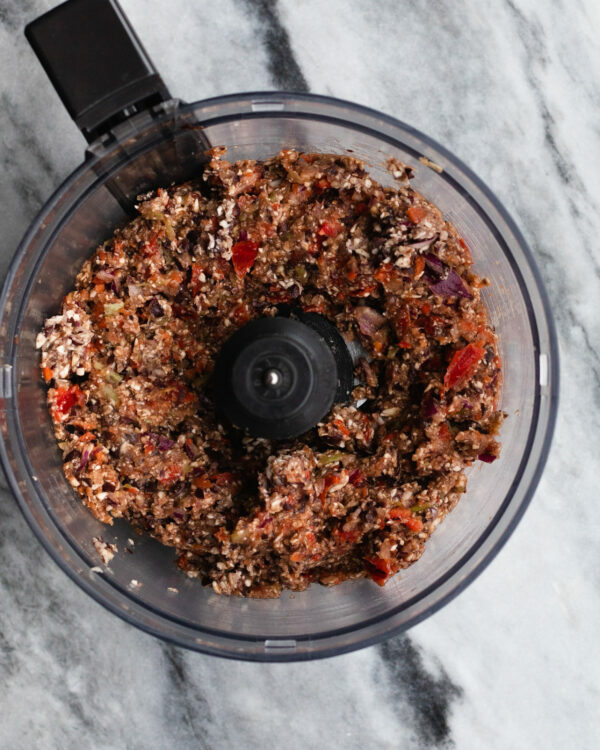 Add everything into a food processor and pulse it a few times until everything's broken down and combined. Warm a large cooking pan over medium heat. Add some oil and the filling and cook it over medium/low until most of the moisture from the mushrooms and vegetables have evaporated. Let the filling cool. Roll out the puff pastry and cut squares the size of a post it. Place the filling in the centre. Pinch the edges together to for a boat. Brush the outside of the dough with a bit of (olive) oil.